State Parks… The month of April was Springs Protection Awareness Month. Florida’s springs are among the state’s most vital resources. Not only are they home to abundant plant and animal life, a source of fresh water for rivers and streams and an attraction for local economies and state tourism, but they are the backdrop for countless memories. 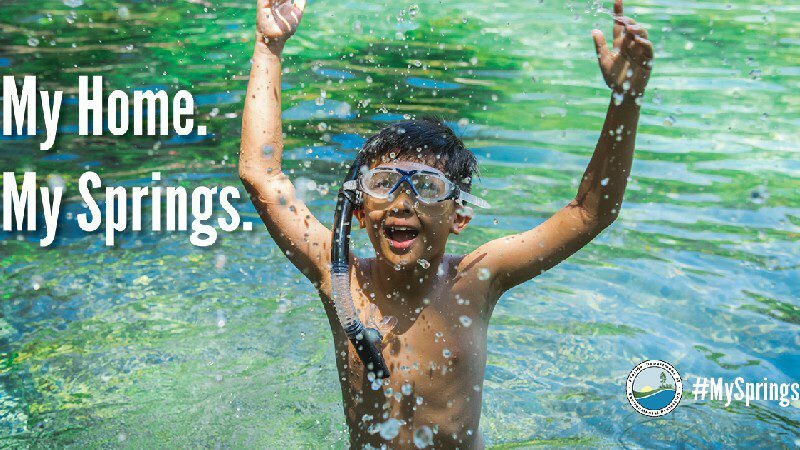 With more than 1,000 springs in the state, and among the largest concentration of freshwater springs on Earth, springs are forever woven into the past, present, and future of Florida. Florida State Parks is dedicated to the protection of Florida’s springs through meticulous planning and strong community partnerships. With $50 million approved in funding for springs in the upcoming year, we will continue the state’s record investments. Downtown Dunedin was nothing spectacular when I used to visit in the 1970s. It looked like virtually every other town that had paved over most of its green space and was unfriendly to bicyclists and pedestrians. Today, driving, walking or bicycling through Dunedin is a pleasure. Streets are curved and landscaped with a canopy of shade and the Pinellas Trail runs directly through downtown on the former bed of the historic Orange Belt Railway. More than a thousand people a day access Dunedin by trail! This transformation, along with being the home of Honeymoon Island, made Dunedin the perfect choice to be designated by the DEP’s Office of Greenways and Trails as the first official Florida Trail Town. The Trail Town designation tells the nation that Dunedin is one of Florida’s most pedestrian and bicycle friendly cities, as well as a thriving, desirable place to live. 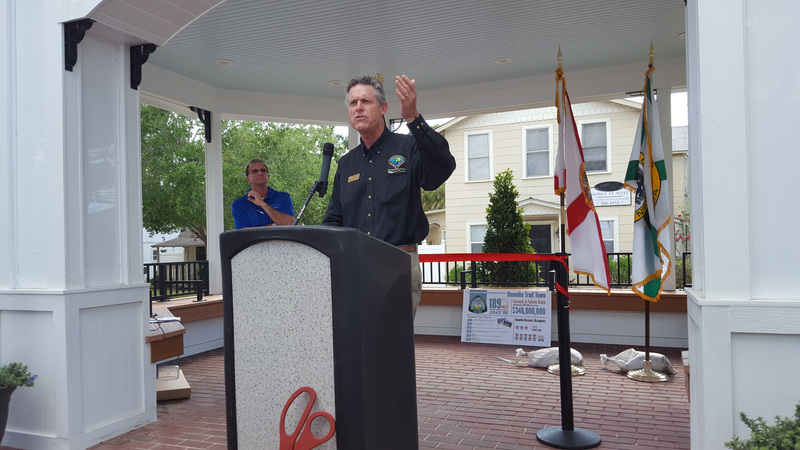 It is an ideal partnership between the town and Florida State Parks because we share a goal of people enjoying being healthy outdoor experiences. As part of that shared goal, we have committed to extending the existing multi-use trail connecting Dunedin to Honeymoon Island State Park by completing a 1.3-mile multi-use trail inside the park. The trail will provide safe access to the park’s beaches and amenities and help reduce traffic congestion and parking at one of Florida’s busiest state parks. After joining the Dunedin City Commission for the trail town designation, I explored the town and trail by bicycle. What a great experience to see groups of cyclists and walkers and individuals of all ages walking, running and pushing strollers. We commend Dunedin for being bicycle and pedestrian friendly and as Florida’s first Trail Town inspiring other Florida cities to create safer ways to walk and bike to downtowns and state and local parks. Each year, Earth Day is celebrated by millions of Americans. It brings people together with one common goal: to take care of the planet. Florida State Parks share this mission around the calendar, and Earth Day was no exception. Around the state, 34 different parks hosted 55 Earth Day-themed events, ranging from ranger-led informational hikes, to volunteer beach cleanups. In addition to these events, over 20 official state park concessionaires pledged to “Skip the Straw” and now either do not carry plastic straws or only offer them by request. 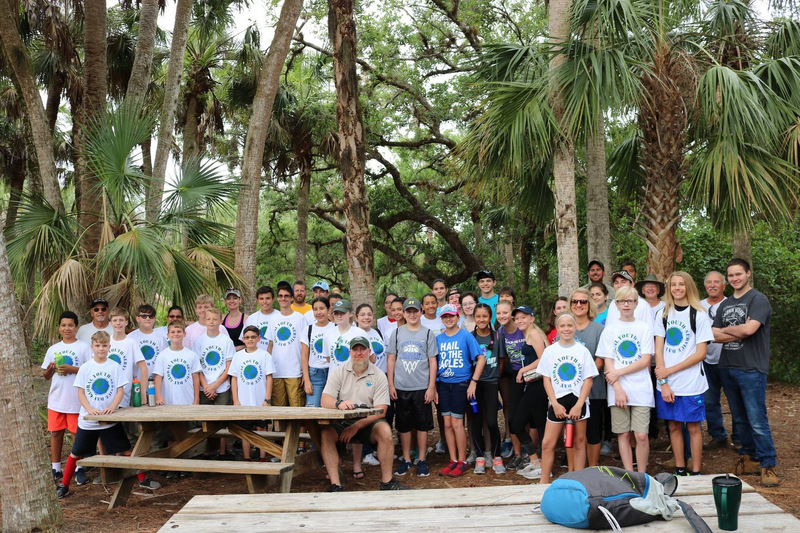 Koreshan and Estero Bay Preserve State Parks had 58 participants at their Global Youth Services Day, where volunteers helped remove exotic bamboo, plant trees, and clean up the Estero River. Topsail Hill Preserve, Bill Baggs Cape Florida, and San Felasco Hammock Preserve State Parks collectively brought hundreds of volunteers out to clean up trash from beaches, trails and other park ecosystems. 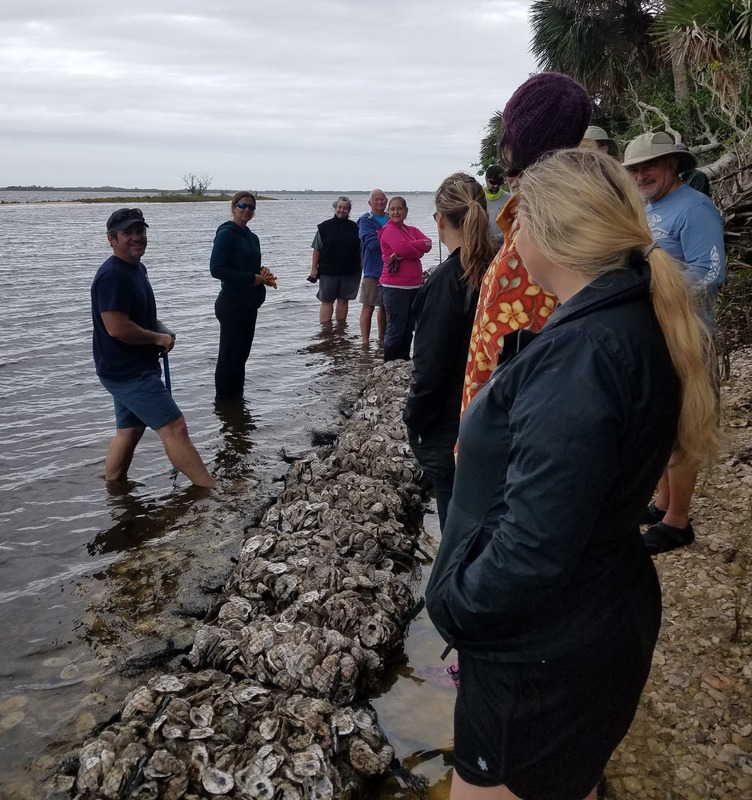 Years ago, John D. MacArthur Beach State Park in Palm Beach County, with the help of their Citizen Support Organization (CSO) Friends of MacArthur Beach State Park and the Palm Beach County School District, created the MacBeach Explorations Program. This program is grant funded by the Robert and Mary Pew Public Education Fund and allows students and teachers an enhanced field trip experience. One aspect of this experience are virtual field trips, which bring the incredible sights of the park’s subtropical coastal habitat into the classroom. 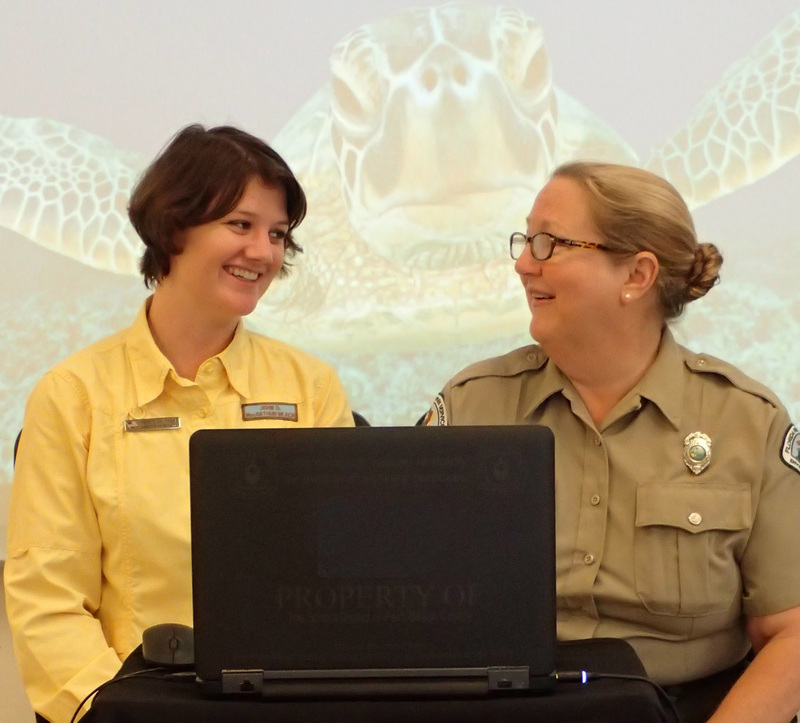 Classrooms are also able to video conference live with park staff, giving students the ability to ask and receive questions from park services specialists, rangers, and volunteers. The programs are then recorded and shared with educators, making it possible to show their students anytime. Reaching about 10,000 students every year, the virtual field trip program has provided natural resource education throughout the state. Read More About Our CSOs! 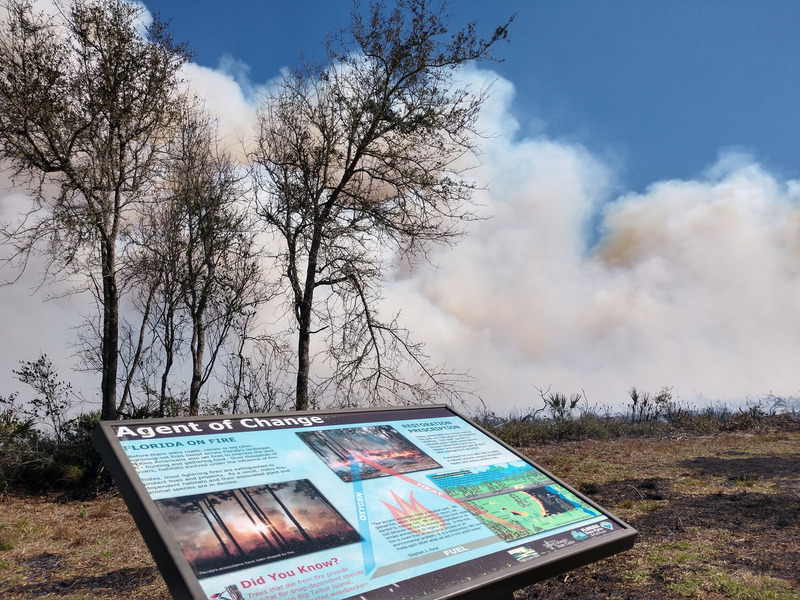 This year’s Wildfire Awareness Week took place between April 8 and 14 and marked the 20th anniversary of Florida’s worst wildfire season in 1998. That year approximately half a million acres of land were burned, and more than 300 homes and structures destroyed. 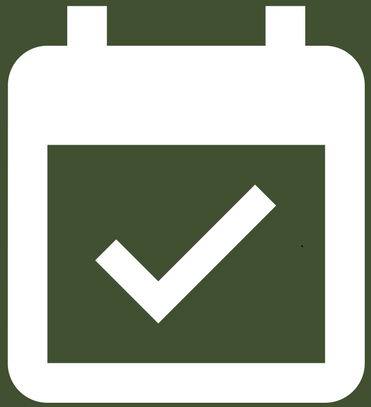 Florida State Parks is committed to meticulous burn prevention planning and techniques that have helped minimize the damage caused by wildfires. Prescribed Fire is the most practical way to help prevent combustible fuels from accumulating and becoming a threat to an entire ecosystem. Thanks to detailed burn plans and schedules, partnerships with local governments and other agencies, and excellent communication with surrounding communities, Florida State Parks is working hard to help eliminate the threats of wildfires. Find An Adventure at a Florida State Park! Join us at Anastasia State Park in Flagler County as we host The Grapes of Roth, an energetic classic rock trio. Come enjoy an evening of food, dancing, and music! Join volunteer Judith Scott at St. Andrews State Park in Bay County as we take a trip back in time to uncover the mystery of “Teddy the Hermit,” a shipwrecked Norwegian sailor who called the area home for years. Congratulations to Honeymoon Island State Park for welcoming their 1 millionth visitor of the year! ← What does Harvard say about Miami Beach?